Julianna Hane traded life on a cotton farm to become a dancer and aerialist. She holds a BA in Dance, MFA in Modern Dance, a certificate in Laban Movement Analysis, RYT-200, and a diploma from The Pilates Center in Boulder, CO. She has taught dance in K-12, studios, and higher education, and currently is the Director of Training for Born to Fly Aerial Teacher Programs and Support. She enjoys integrating the Pilates method into aerial dance training. Kim Haroche is a second generation, Master Pilates Teacher. She began her exploration of Pilates in her late teens under the loving and firm hands of Kathy Grant who mentored Kim and invited to be her assistant and substitute teacher. Kim has the great honor of being one of the only people Kathy ever trained in the art of teaching the intricacies of her work as well as the classical Pilates method. 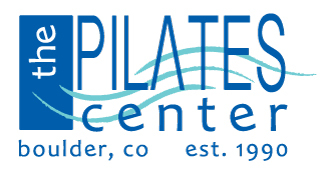 Kim has been teaching Pilates since 1979 â€“ her teaching credits include Kathy Grantâ€™s Gym at Henri Bendel in New York City and The Pilates Center in Boulder where she was on staff as a Senior Teacher, Presenter and Tester of The Pilates Center Training Program and Masters Program. Kim now guest teaches at different studios and offers workshops internationally. She maintains a private practice in Boulder, Colorado combining biodynamic cranial sacral therapy, trauma therapy, body centered psychotherapy and Pilates.